On the Control Flow tab, add a Data Flow task, then double-click it to navigate to the Data Flow tab. 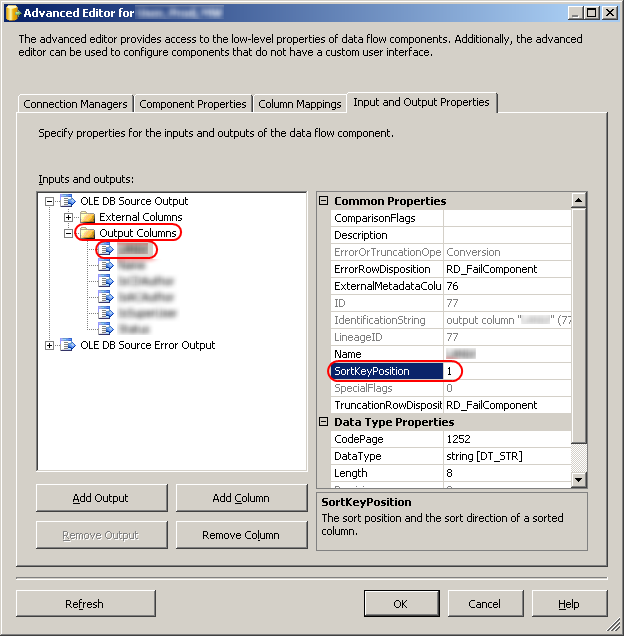 Add two OLE DB Sources and a Merge Join transformation. 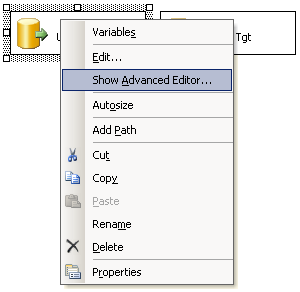 Right-click either OLE DB Source and select Show Advanced Editor from the context menu. 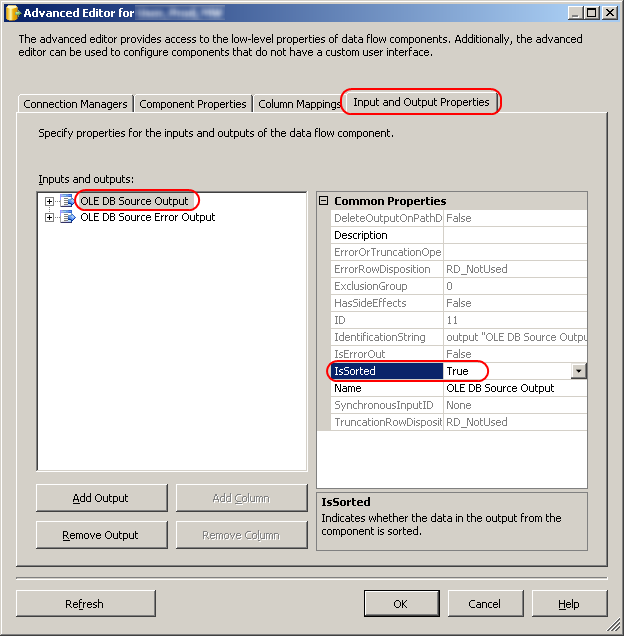 In the Advanced Editor, select the Input and Output Properties tab, select OLE DB Source Output in the left pane, and set the IsSorted property to True. In the left pane, under OLE DB Source Output > Output Columns, select a field to sort by — typically the primary key — then set its SortKeyPosition property to 1. Do the same for the other OLE DB Source.